"10 Best Personal Injury Attorneys in USA"
We have won top results in thousands of cases. Hundreds of cases in the multi-million to $100,000 range. More than 25 years of experience. We don't charge a fee unless we win your case. We make home and hospital visits. We will treat you with courtesy, compassion and respect. 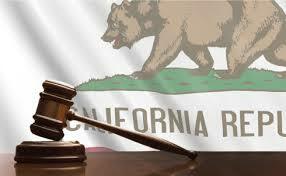 The ever prolific California legislature passed over 800 new laws this year. Here are some of the laws that become effective in 2018 relating to employment, housing, and automobiles. In 2018 the California minimum wage increases by 50 cents, to $11 per hour for workers at companies with at least 26 employees, and to $10.50 for those at smaller firms. Employers will no longer be able to ask job applicants about criminal conviction history, either. (See Assembly Bill 1008.) Those arrested but not convicted of a crime may ask a judge to seal their records, which may help them get hired. Owners of gasoline or diesel-fueled cars will pay higher annual registration fees to help pay for road repairs. The fee increase depends on the vehicle’s value and ranges from $25 to $175. SB 65 prohibits smoking or ingesting marijuana or marijuana products while driving or riding as a passenger in a vehicle. The DMV will assign negligent operator point counts for this violation. Drivers, such as Uber and Lyft drivers, are prohibited from operating a motor vehicle with a blood alcohol concentration of 0.04 percent or more when a passenger for hire is in the vehicle at the time of the offense. AB 2687. Those with outstanding parking penalties and fees will find it easier to obtain or renew a driver license. AB 503. Applicants in the Disabled Person Parking Placard and Disabled Person License Plate Program will be required to provide proof of true full name and birthdate. SB 611. The new housing laws are intended to address California’s severe housing affordability crisis. Senate Bill 35 allows real estate developers to bypass the lengthy, and often expensive, review process for new projects. What do you think of these new California laws? To avoid spam, please complete the fields below. "I would recommend The Reeves Law Group to my family and friends for attorney representation of any bodily injury claims they might have..."
"I cannot thank this firm enough. The attorneys and support staff were caring, attentive and diligent at every step of the way and produced an outstanding result in the case." Our content is copyrighted and protected by Copyscape’ s Anti-Plagiarism software. © 2019 by The Reeves Law Group. All rights reserved.